We are close to the nice appointment Magnalonga Settembrina 2017! This year will be Sunday, September 3, 2017 in Negrar: a 9-kilometer-long food and wine tour through the streets, vineyards and cellars of Valpolicella. Participants will start at the “Palatenda” where tehy will receive the glasses and the “lunch card” to bring with you. The “card lunch” allows tasting of the dishes and wines indicated in the various stop. The first group will leave at 10.00, the next departures will be every 10 minutes. The event will end at 18.00. The departure will be in the center of Negrar with the assortment of local products, sliced ​​mixed with Salumificio Coati and Lessinia cheeses. The first stage will be in Saga with Bruschetta with Turri Extra Vergin Olive Oil. Later in Moron with Frittatina with Lonza Affumincata with the Valpolicella Classico. Then you will arrive at Monte Tondo with Gnocchi al Ragù and a typical geographical indication wine always produced in Valpolicella. The fourth stage will be in the Masua with Pasta and Beans and a Valpolicella Classica Superiore. The fifth stop at Pedemonte with Beefsteak with Vegetables and Amarone della Valpolicella. We return then to the side with a stop at S. Vito with Cheese with local jam and Ripasso della Valpolicella. We return from Moron where the Settembrina Cake will be waiting for you with the Recioto. In the Crosara there will be ice cream and finally in Negrar Center café. 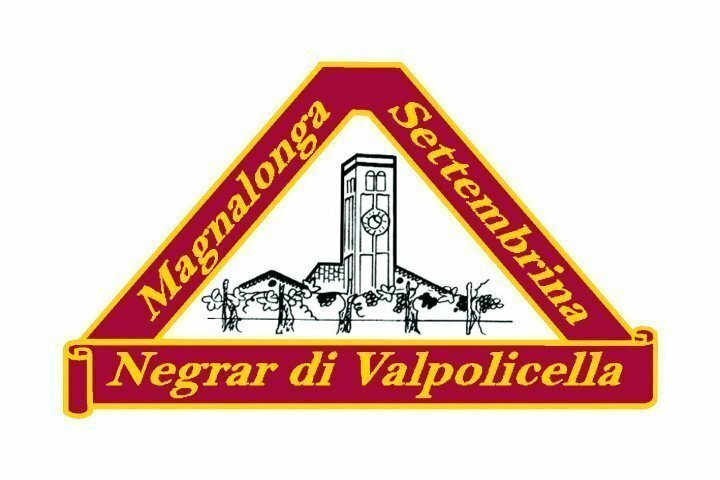 The 7th Magnalonga Settembrina will take place in Negrar on Sunday the 3rd of September and will also be held in case of bad weather. Adults € 25,00, Boys (6 to 16 years) € 15,00 Children up to 5 years are our guests. We invite wine enthusiasts to come in our cellar to taste the wines we produce or to stay in our rooms!